Jessica Amber Jones- In front of Rag-O-Rama clothing store in the Little 5 Point neighborhood of Atlanta. I found Jessica while shopping at Rag-O-Rama, an amazing consignment shop in Atlanta. After finding a gorgeous handmade midi length floral dress from the 60's for myself I snagged Jessica for a photo. When she isn't working at the shop Jessica runs a millinery brand called Amore. 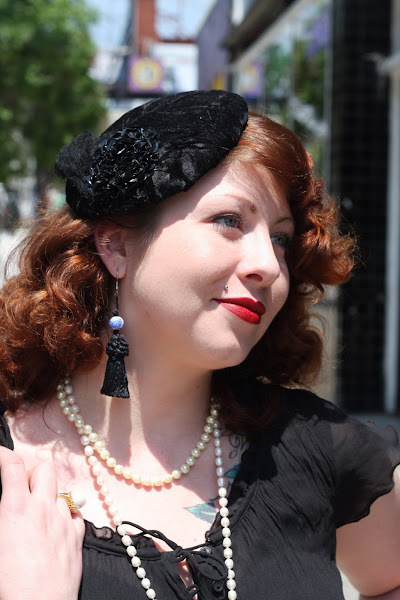 She made this fascinator! She also has a very creative boyfriend... he made the earrings that she is wearing. 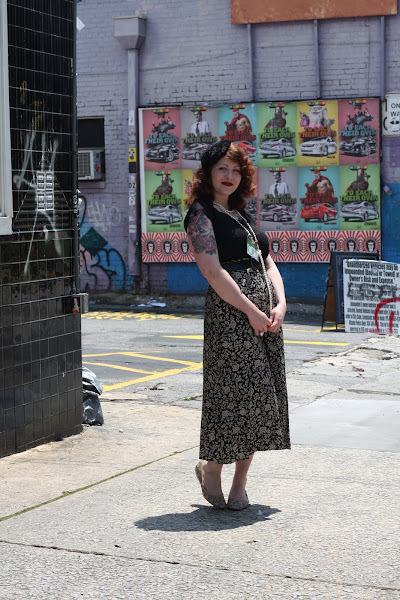 You can see a whole lot more of her great style at her blog The Modern Day Flapper.